Portland hits four home runs in the opener, a 9-1 win, and another in the second game, a 5-0 victory. 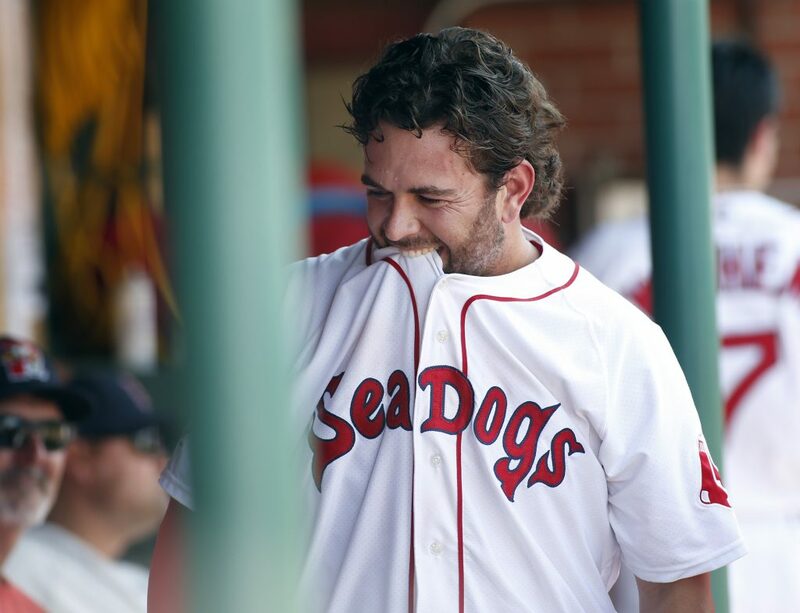 Maybe, said Portland Sea Dogs pitcher Kyle Hart, having Wednesday night off wasn’t so bad. “Maybe the rainout was a good thing,” he said. It sure looked that way Thursday afternoon. 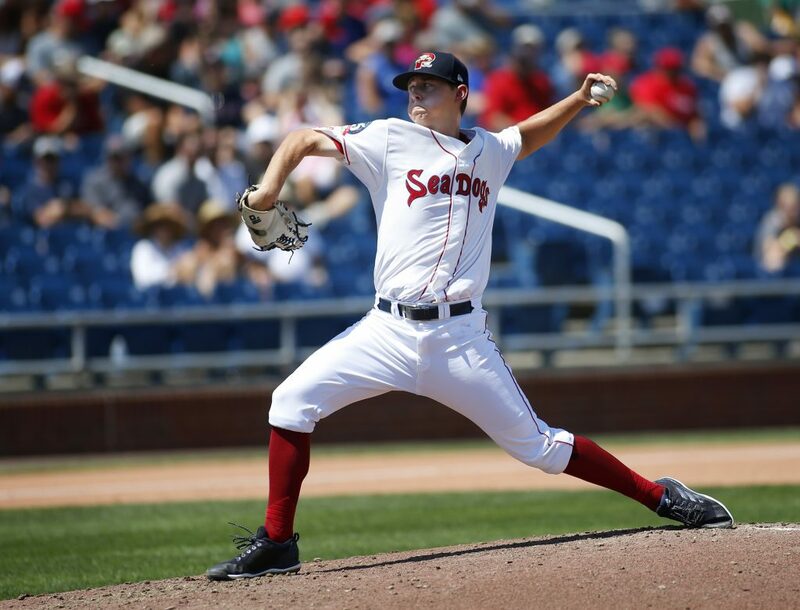 The Sea Dogs got stellar pitching performances from Hart and Matt Kent, plus some long-ball hitting, to sweep the Erie SeaWolves 9-1 and 5-0 at steamy Hadlock Field. Both games were seven innings. Portland hit five home runs in the two games – a single-game seasonhigh four in the opener – to back the pitching of left-handers Hart and Kent. Kent allowed five hits in six innings in the opener, striking out five and walking one. Hart, seeing what worked for Kent, was even better, allowing two hits and two walks, striking out five in the second game. And with good reason. 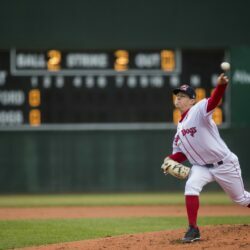 Portland’s starting pitchers had the Eastern League’s second-best ERA (3.31) in July and began August by allowing one earned run in 13 innings. The starters have allowed 15 earned runs in the last 1002/3 innings they’ve pitched for a 1.34 ERA. 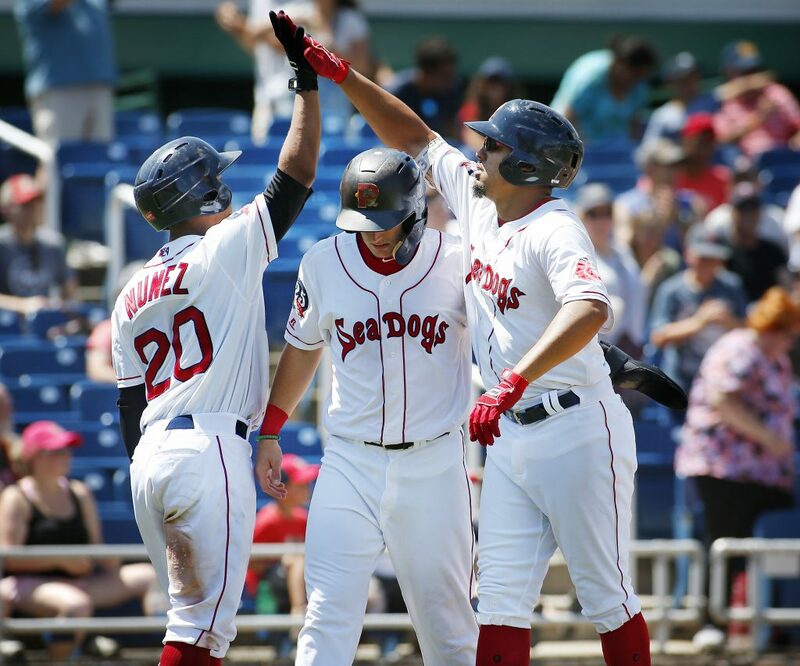 Other home runs in the opener were by Luke Tendler, his 11th, a 418-foot two-run shot over the right-field wall that was found in a lacrosse net at Fitzpatrick Stadium; Michael Chavis, his third, a 421-foot shot to center field; and Chad De La Guerra, his 11th, a 401-foot two-run shot to right. But it wasn’t just pitching and hitting home runs. 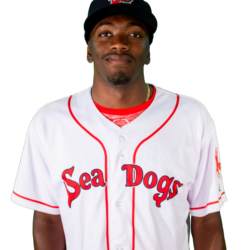 The Sea Dogs’ defense was exceptional as well, especially in the first inning of the second game. 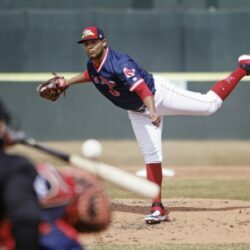 Erie had runners on first and second with two outs when Isaac Paredes hit a drive into the gap in left-center field. 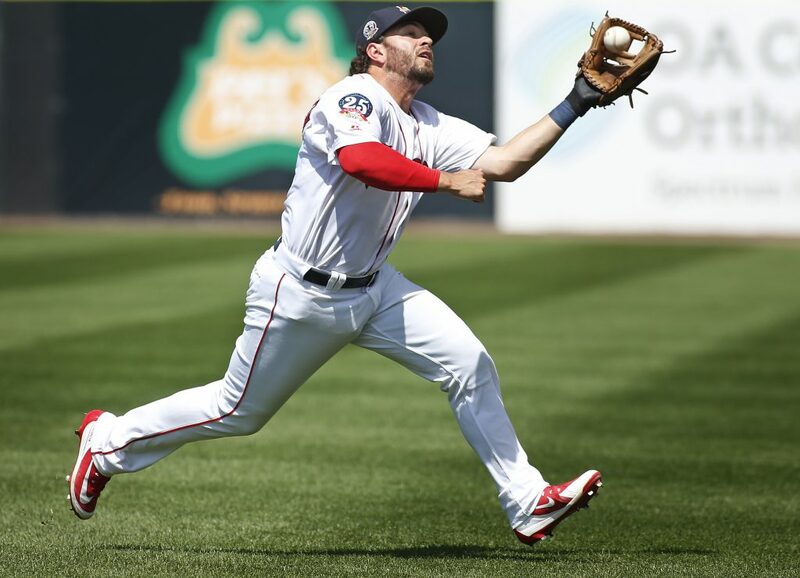 Portland left fielder Deiner Lopez raced over to make the catch in the gap and save two runs. 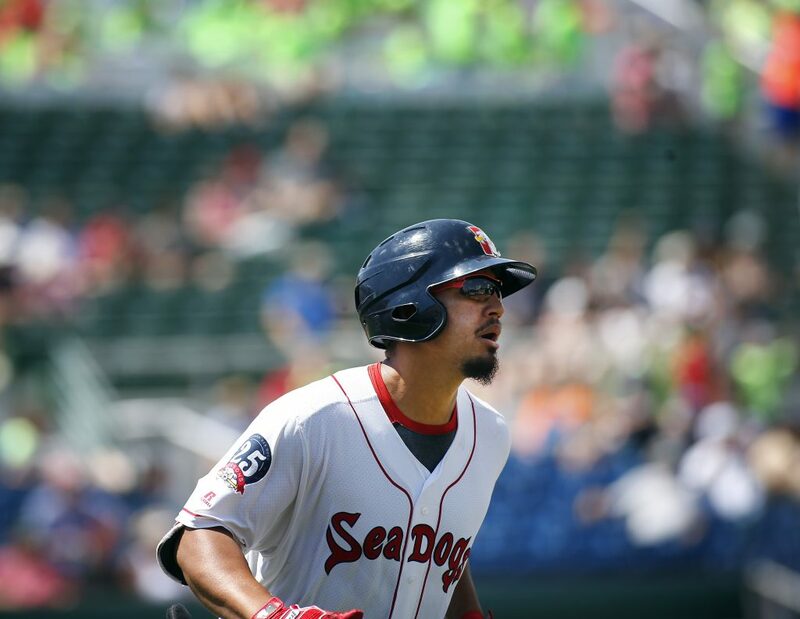 Portland got a run in the second off a wild pitch by Erie starter Beau Burrows and another in the fourth when De La Guerra was hit by a pitch with the bases loaded. 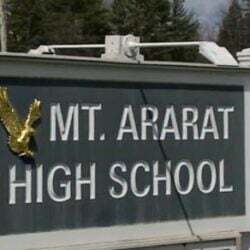 Then Austin Rei hit a two-run homer in the bottom of the fifth to make it 4-0. 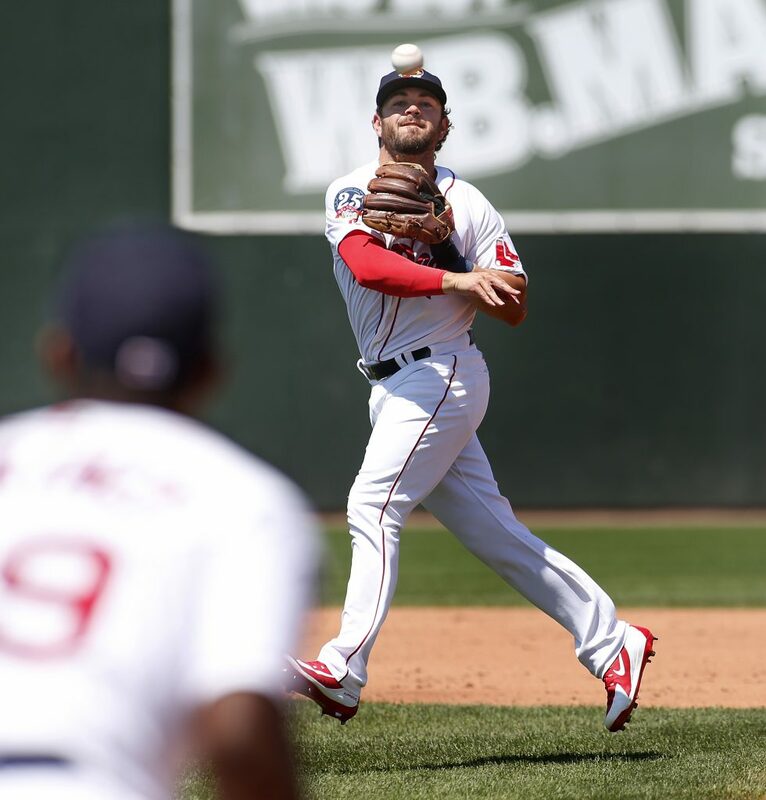 NOTES: After the game, Ockimey and pitcher Mike Shawaryn got word that they were being called up to Triple-A Pawtucket. Ockimey leads the team in home runs and Shawaryn leads the team with a 3.28 ERA. 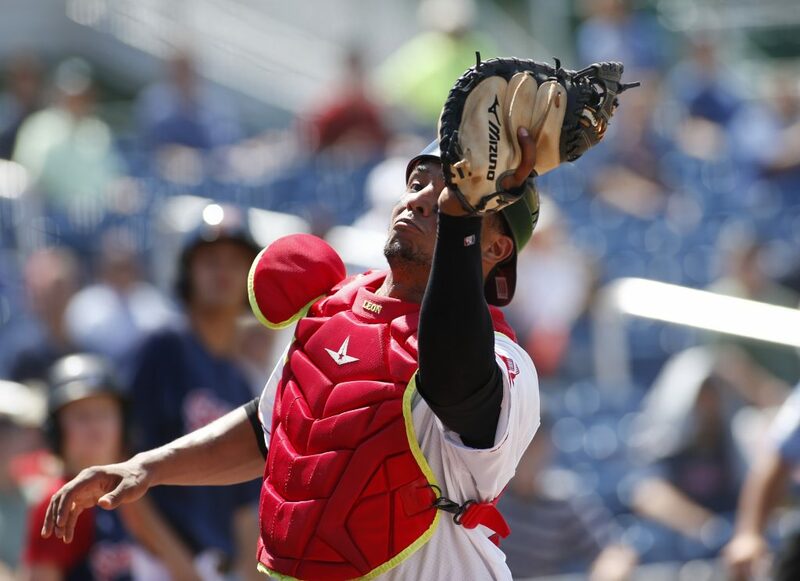 “I’m very honored to be called up,” said Ockimey, whose last at-bat was an RBI double. “I’m very excited to go up there and play.” Shawaryn, who was 6-8 with 99 strikeouts, said, “It’s really exciting to get one step closer to the ultimate goal. It’s really a blessing for all your hard work, in the offseason and during the season … it’s starting to pay off. And it’s nice to go up with Josh. It was a fun time in Portland.” … Game 1 was played in 2:11, Game 2 in 2:02.